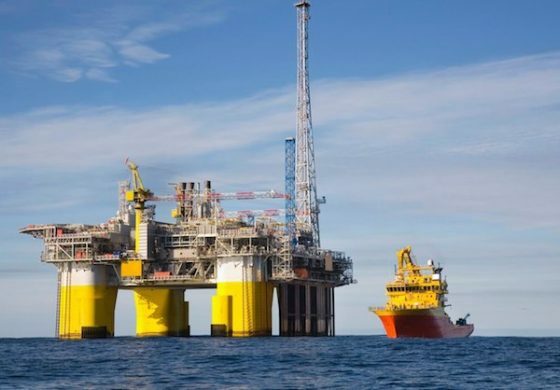 Dr. Maikanti Baru, who is the Managing director of Nigerian National Petroleum Corporation (NNPC), disclosed on Thursday that oil search would soon begin in the Nigeria’s inland basins. Dr. Maikanti Baru made the announcement in a statement which was released by the, NNPC Group Public Affairs Manager, Ndu Ughamadu in Abuja. The NNPC managing director said the oil research across the nation’s inland basins was in fulfilment of the Presidential mandate which directed NNPC to resume oil exploration activities in some of the nation’s inland basins including the Chad Basin and the Benue Trough. He added that the Presidential mandate was driven by the urgent need for Nigeria to increase its Oil and Gas Reserves, to improve revenue streams and create more business and employment opportunities for Nigerians. Dr. Baru also said the oil exploration research was also in accordance with NNPC’s corporate vision of 12 Business Focus Areas (12 BUFA). He said the NNPC team Is now in Nasarawa State to sensitise the government and people of the state to the mission. “I am therefore happy to be personally here to kick-start the beginning of a high-profile stakeholder engagement towards oil exploration in the Nasarawa State’s part of the Benue Trough. Dr. Baru promised that as a responsible corporation, the Nigeria’s oil giant, NNPC with the affiliation with its Frontier Exploration Services (FES), will do everything possible to operate peacefully among the people and with much respect to the environment. He assured that Nasarawa State indigenes would enjoy more products availability once the Corporation rehabilitated the Makurdi Depot pipeline feeding Nasarawa and Benue States with products.